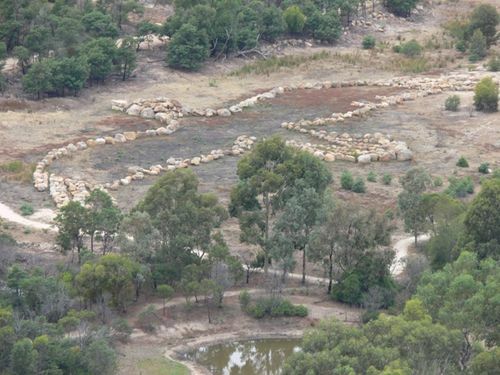 Stone sculpture commemorates the indigenous Creator Spirit, Bunjil and the Wathaurong Aboriginal people. The sculpture is in the shape of a wedged-tail egale. Presented by the Festival Melbourne 2006 and the Melbourne 2006 Commonwealth Games. Supported by the Victorian and Australian Governments and the Greater Geelong City Council in partnership with Parks Victoria, and the Wathaurong Aboriginal Co-Operative.